BaxTek Solutions-Intermec CN3 wireless mobile computer. 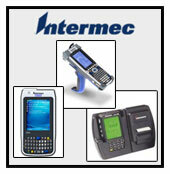 The Intermec IP30 add-on passive UHF RFID handle is a cost-effective, compact, EPCglobal-certified solution for adding mobile RFID read/write capability to Intermec�s latest generation of mobile computers including the CN4, CN4e, CN3*, CN3e*, CK61, CK61ex, and CK3. 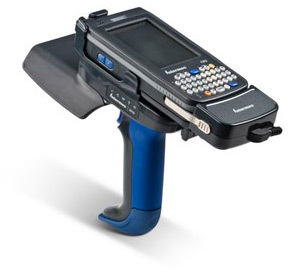 The modularity of the IP30 and the RFID-readiness of the Intermec mobile computers mean the power of RFID can be literally added in a snap today or at any point in the future to support both in-premise and in-field applications such as warehouse operations, enterprise asset management, in-transit-visibility, direct store delivery and exception handling. When combined with one of Intermec's most powerful mobile computer lines, the IP30 gives the user unmatched data collection and communication capabilities. Combining RFID with multiple network communication options in a single handheld unit enables pin-point location accuracy for real-time asset, source and service tracking. When added to the INtermec CN4 or CN4e, the IP30 gives users unprecedented versatility both inside and outside of the four walls through combined advanced data collection methods, GPS location association, and communication via multiple network radios, including the latest 3.5G cellular technologies. RFID reads can now be associated with time stamps and location coding to enhance supply chain visibility for applications like track and trace, point of origin, and field asset and inventory management.